Where you decide to put your garden will make the difference between success and failure. Here are some tips to keep in mind when selecting your site and preparing it. 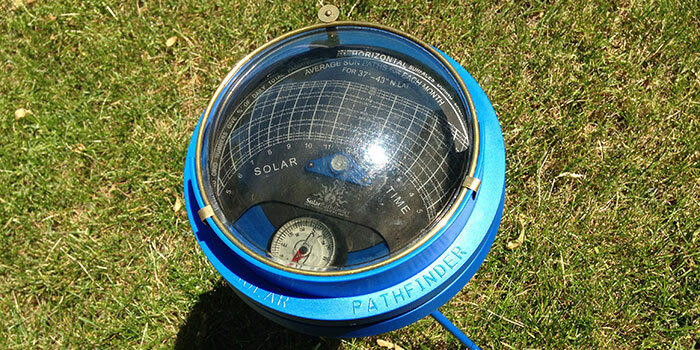 A Suncalc can be used to measure the amount of sun an area receives. Most fruits and vegetables require 6-8 hours of sun per day, so pick a spot for your garden that gets at least that much sun. You can measure the amount of sun you get with an affordable device. We suggest a Suncalc. If your location has limited sun (5-6 hours), choose crops that can tolerate less sun, such as leafy greens, cucumbers, beans, and herbs. If you don’t have a sunny yard, you can plant in containers on a sunny deck, balcony, or rooftop. Nutrient-dense soil is the foundation of a healthy garden. Healthy soil is the immune system of your garden: if a plant is well-nourished by good soil, it’s less likely to be eaten by insects. 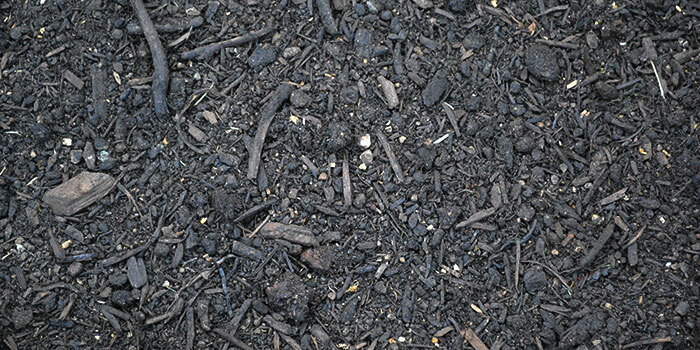 The ideal material is 12 or more inches of well-aerated, nutrient-dense soil blended generously with compost. Nolan usually applies a 3 to 6-inch layer of compost when preparing her garden beds and works that into the soil. For an extra nutrient boost, you can also blend in organic granulated fertilizer. Nolan recommends adding organic granulated fertilizer along with compost. 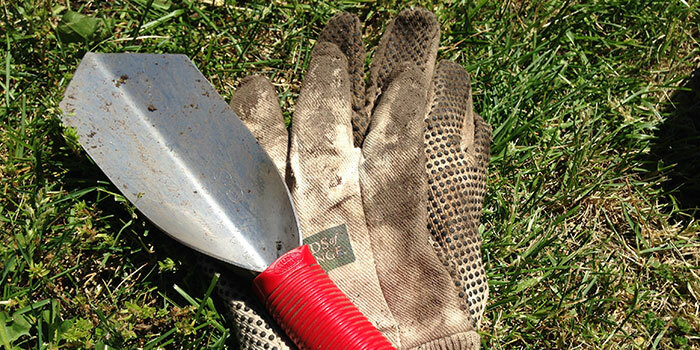 If you’re growing in the ground near an old house or in the city, test your soil for lead and other toxins. Stat Analysis Corporation tests soil for lead and is located in Chicago. Paths help keep the soil and garden intact. Our Chicago Tonight gardens are planted in raised beds and all the plants (and all the weeds) are accessible from the sides of the garden. 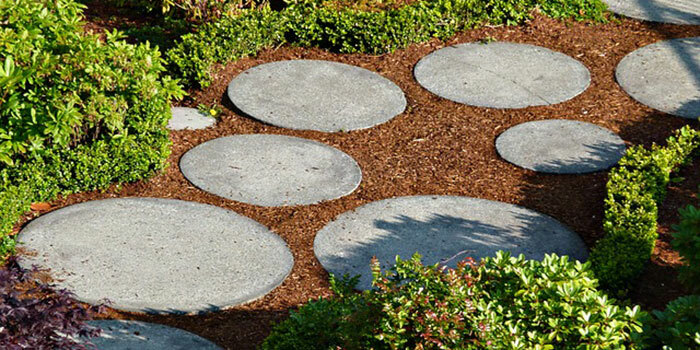 But if you’re planting a larger garden in the ground, you should think about creating paths. Paths are more than just cosmetic –without them, the soil in a garden can get compacted, which chokes off the oxygen that’s essential to soil health and plant growth and also makes it hard for roots to spread. Be sure to clearly demarcate the paths around your rows with straw, woodchips, stone, or whatever else you prefer. If the rows of crops have paths on both sides, the rows should be no wider than 4 feet so that plants can be reached and tended from both sides. If a row can be reached from only one side, make it approximately 2 feet wide. 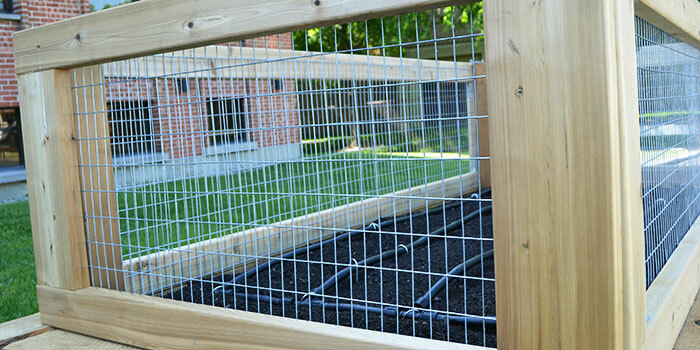 Construct a fence around your garden to protect it from rabbits and other critters. Rabbit-proof fencing should be approximately 3 feet high and extend several inches below ground; the holes in the mesh should be no bigger than 1-inch-by-2-nches. Deer-proof fencing can range from 5 to 8 feet high depending on the size of deer and the amount of open space around the garden (the more space the deer have to run and jump, the higher the fence should be). Read more about fencing. 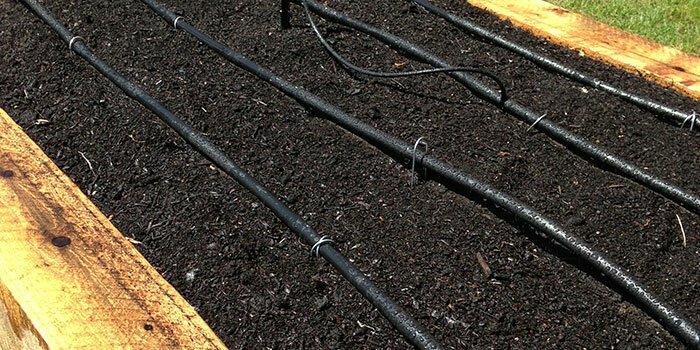 Use a drip-line irrigation system to water your crops. If you have only an hour a week to spend in your garden, use that time to tend your plants; install a watering system on an automatic timer before you plant. Nolan loves drip-line tubing because it delivers water to plants at their roots. An ordinary sprinkler connected to a garden hose can work as well, particularly when attached to an automatic timer. Be sure to irrigate in the early morning or early evening so that wet plants are not scorched by midday sun. Dripworks.com is a great resource for information and equipment. Read more about irrigation. Map out where you want to plant crops before you begin. On paper, map out where you want to put paths and rows, as well as an approximate location of each crop. Be sure to account for companion planting; it’s also a good idea to put tall plants on the north side of the space so that they don’t shade the others. 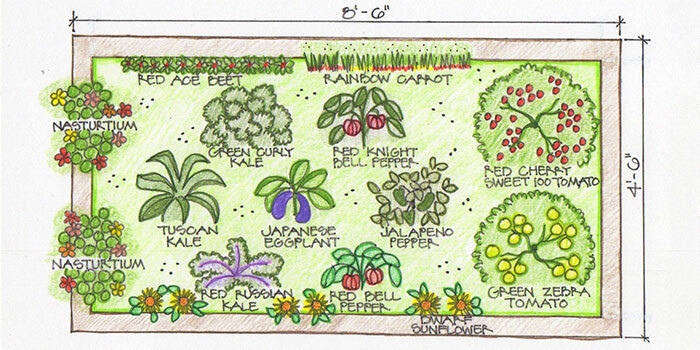 Use Gardener’s Supply Company’s Kitchen Garden Planner to help you design a garden. 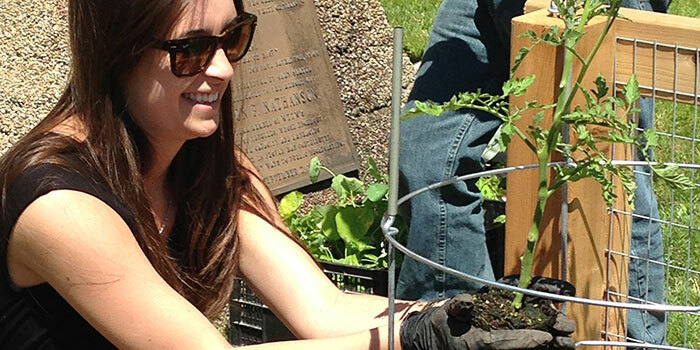 Most gardening supplies can be purchased from a local nursery, store, or online. Your supplies–fertilizer, compost, seeds, labels, plant supports, trowels, round-nosed shovel, hard rake, and broad fork–can be purchased from a local nursery or online. Nolan recommends Gardener’s Supply Company, a one-stop shop; for seeds, she recommends Johnny’s Selected Seeds. Organic seedlings can be purchased at local nurseries and often from local farmers at your farmer’s market, as well. All types of compost from your local nursery or home improvement store work well–just go as organic as you can. When you buy compost that is certified organic, you are assured that you are not introducing chemicals into your garden. Clean soil means clean food. Think of crops as either cold-tolerant or heat-loving. 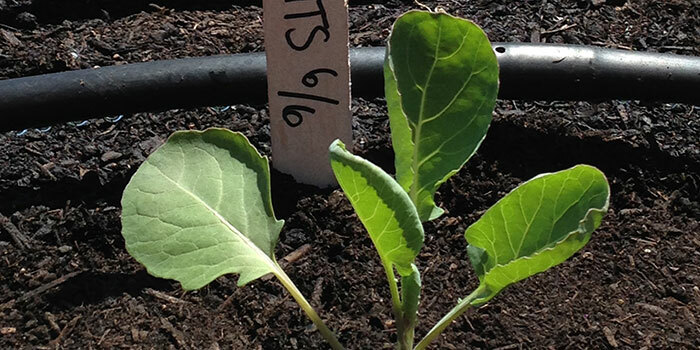 Brussels sprouts are cold-tolerant crops. 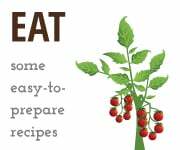 Think of crops in two basic categories: cold-tolerant and heat-loving. Cold-tolerant crops can be planted in early spring and will germinate and grow in cool soil and air temperatures. Heat-loving crops must be planted in the late spring or early summer after the threat of frost has passed. 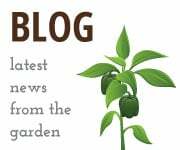 Find out which planting zone you live in and what to plant when on the National Gardening Association’s website. Crops can be planted as seedlings or as seeds. There are two basic ways to plant–by placing seeds directly in the ground or by putting plants (seedlings) in the ground. The seedlings give you a head start on the season, since they’re grown in a greenhouse or indoors during the late winter or early spring. Crops that take a long time to mature to their edible state are best started as a transplant. Nolan always plants such large fruiting crops as tomatoes, peppers, eggplant, cucumber, and strawberries as seedlings. She plants vegetables and fruit, including carrots, beans, beets, radishes, melon, and pumpkin, from seeds. 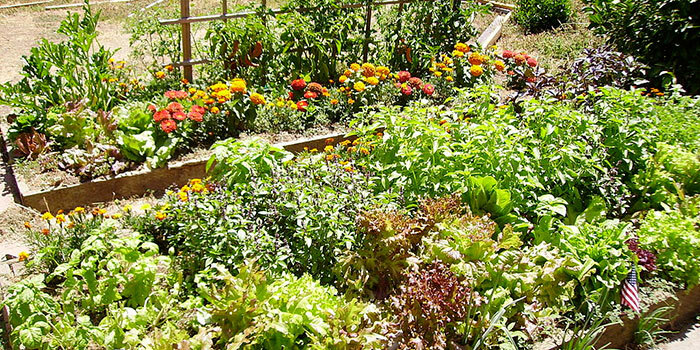 A crowded garden can lead to competition among crops. The single most common beginner mistake is overplanting. Try to use restraint in the planting process. It’s hard to believe that the tiny things you plant will become huge and lush in a matter of weeks, but they will, and they need room to do it. If your plants are too close together, they will compete for nutrients in the soil and won’t grow to their full potential. However, nutrient-rich soil can support a more densely planted garden than poorer-quality soil and that’s what we’re doing in our raised beds. Because the soil is so rich, we are able to plant more and actually get more from our limited space. 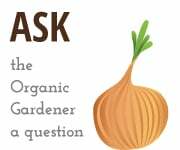 Closely read the information on the back of your seed packet or reference the online Kitchen Garden Planner, which has great advice about planting density and garden layouts. As your garden grows, if you realize that you’ve placed your plants too close together, don’t sweat it: simply just thin them out by pulling up the smallest, weakest plants; this will create space for the healthiest ones. 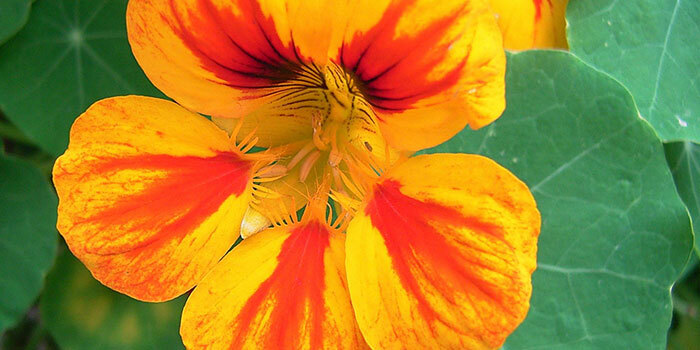 Plant edible flowers, such as nasturtiums, in your garden. Every food garden looks better with a few flowers. Some flowers, such as nasturtiums and pansies, are gorgeous and edible. Others, such as zinnias, calendula, and sunflowers, also attract pollinators and beneficial insects to your crops. Still others, such as marigolds, deter pests.